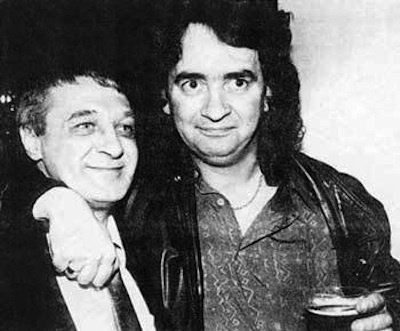 Gerry Conlon - one of the Guildford Four - spent 15 years in prison for an IRA bombing campaign he had no involvement in. Paddy Hill - one of the Birmingham Six - was wrongly jailed for 17 years for similar crimes. Yesterday, both men accused the Coalition, and their counterparts in London, of “washing their hands” of innocent Irish men and women who, according to Mr Conlon and Mr Hill, are either being framed or are currently rotting in jail. Mr Hill said: “If what happened to us meant that no other innocent people were going to go to jail - in some way we could accept it and get on with it for a greater good - but unfortunately, it’s not that way. Mr Conlon said he believed powerful organisations such as MI5 were involved in a “dirty tricks” campaign against certain people. “You can’t have people who are paid to administrate and look after society, who are paid to uphold the law, and [then] allowed to break the law and for no consequences; that makes a mockery of everything. Mr Conlon - who is campaigning for the release of dissident republican prisoners known as the Craigavon Two (Brendan McConville and John-Paul Wootton) convicted of the murder of Constable Stephen Carroll in 2009 - denied he was politically motivated in seeking to have the men freed. “I’m not involved in politics. I don’t support the IRA. I’ve never been in the IRA. I don’t support republican violence. But, I support the right for people to have a fair trial, for the right for justice to be done and to be seen to be done,” he said. “It is something I didn’t get involved lightly in and it was something I didn’t believe in for a couple of months after going to meetings, but when I did believe in it I saw a pattern, and it looked like MI5 had run an operation that had gone badly wrong. I think that Stephen Carroll was killed by accident, although people were out with guns that should never have been out with guns . . .
“I think that two innocent men have stood trial, been convicted on the most flimsy of evidence. Hopefully, the outcome, when the appeal judgment is delivered, that Brendan McConville and John Paul Wootton will be released, and when they are released they’ll have been six years in prison and it will have been the equivalent of a 12-year sentence,” Mr Conlon added.